When communicating cross-culturally there are certain sensitivities around language used in the letter and expectations placed on the recipient of the letter. In this article we focus on some guidelines for writing a letter to request a meeting with an Indigenous leader and provide some tips, as well as some do’s and don’ts. When the Truth and Reconciliation Commission (TRC) Report was published in 2015 it revealed the reality of residential schools, the damage the schools have done to the survivors, their families, their culture, their identity, and the ongoing impacts of that damage. The TRC Report also included 94 calls to action (CTAs) for governments, institutions, and organizations to support reconciliation. The TRC Report has motivated many in the public and private sectors to look within and find ways and means of enacting the relevant CTAs. Since 2015, there have been some inspiring and heartening examples of reconciliation actions, particularly in the recognition of traditional or treaty land acknowledgement at the beginning of government and corporate meetings, art events, sport events, and in education facilities. Language has the power to respect and honour, or, hurt and offend and that is particularly true when working across cultures. 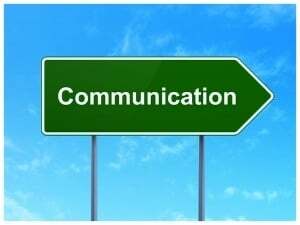 Within that frame of reference, we respectfully recommend that when working with Indigenous Peoples you have an understanding of how the historical context of certain phrases can affect your communication and relationships with Indigenous Peoples. We’ve talked about the definition of Indigenous Peoples and the constitutional significance of Indigenous or Aboriginal. In this article we drill down on guidelines for usage. Terms for Indigenous Peoples have evolved over time and are continuing to evolve. The First Peoples of this land now known as Canada formerly had unique communities with unique names - there wasn’t a need for collective nouns or complicated terminology. With European contact and ensuing colonization, the government required people to be defined and labeled for ease of governing. Indigenous or Aboriginal Which is correct? “Which is correct? Indigenous or Aboriginal” is a frequently asked question for us at Indigenous Corporate Training Inc. 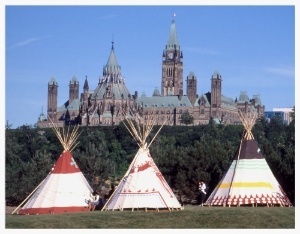 The federal government’s move to first change the name of Aboriginal Affairs and Northern Development to Indigenous and Northern Affairs Canada (INAC) and follow that up with splitting the department into Crown-Indigenous Relations and Northern Affairs and Indigenous Services, indicates the intent of a changing relationship with Indigenous Peoples in Canada. But it has people confused and asking which is correct? Indigenous or Aboriginal? We really appreciate the question and the motive behind the question - to respect Indigenous Peoples by using the correct terminology.